At right, you will find a copy of the garbage /recycling calendar. Please disregard any other calendar you have received.You will also receive one by mail. 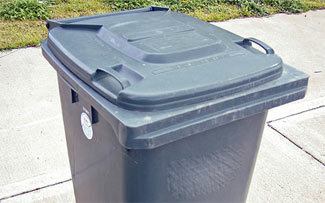 Waste storage site at 713 McDonald Road is open every Saturday from 9 am to 4 pm. Only small quantities of construction materials, tires with no rims, and empty propane tanks are accepted. A fee of $30 to $60 applies to construction materials. Paint, used motor oil in their con-tainers and filters too. Batteries: AA, AAA, C, D, 6 and 9 volt and rechargeable ones too. All these items can be brought to 27, Paugan Road, from Monday to Friday between 8AM and 3PM. Septic systems must be pumped every two years if you are a permanent resident and every four years if you are a cottager. You must contact the Municipality between April 23 and October 26, for the proper form if you plan on taking advantage of the MRC’s treatment plant.